Can You Claim Compensation After A Motor Vehicle Accident? Changes to the Motor Vehicles Act (SA) 1959 and associated Regulations which took effect on 1 July 2013 have made a significant difference to people injured in motor vehicle accidents, and in particular the legislation makes it extremely difficult to satisfy the injury scale value (ISV) that will entitle you to seek financial compensation for your non-economic (pain and suffering) and future economic losses. In most cases, you will be entitled to some consideration for medical bills and treatments and for past economic losses, but this economic loss will only be reimbursed at 80% of the assessed amount. Unless your injuries are deemed ‘severe’ enough under the ISV, you will be unable to claim compensation for your other losses. To make a claim for future economic loss (i.e. if you are unable to work for a time, or even indefinitely after your injury) you must be assessed at a level of at least 8 on the injury scale value; to make a claim for non-economic loss (pain and suffering) and losses such as gratuitous services (assistance from your parents/partner/children) you must be assessed as at least 11. The ISV contains over 160 different injury types, and for the most common type of motor vehicle injuries (i.e. soft tissue, thoracic and cervical spine injuries and shoulder issues) the values are generally assessed between 0-5, which is well below the 8 point threshold. Examples of injuries assessed at between 6 and 10 are: permanent and significant tendon or ligament tears, traumatic adhesive capsulitis limiting movement and expecting to last for two years, painful persistent dislocation, herniated discs, sensory loss and impaired reflexes. These significant injuries still do not reach the 11 point threshold. In simple terms, most people who were entitled to injury compensation pre-July 2013 will no longer be entitled to adequate compensation, if any at all, as their injuries are no longer deemed ‘severe’ enough. Whilst the time limit for personal injury claims remains 3 years from the date of the accident, to comply with the new Regulations, you are obliged to give the insurer notice of the claim by completing an Injury Claim Form within 6 months of the date of the accident. In sum, the process for assessing your injuries is extremely complex and to ensure you receive the best possible chance of receiving the compensation you are entitled to, you should contact a lawyer experienced in motor vehicle claims as soon as you can following an accident. Your lawyer will be able to talk you through the process from start to finish and direct you on the best possible course of action. 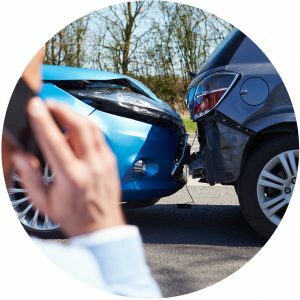 For more information or to speak to one of our experienced motor vehicle accident lawyers, contact Julia Adlem or Ellie Douglas at Adelaide Legal on (08) 8410 9294. You matter to us.